A new research area linked to ethics, virtues, and morality is servant leadership. Scholars are currently seeking publication outlets as critics debate whether this new leadership theory is significantly distinct, viable, and valuable for organizational success. The aim of this study was to identify empirical studies that explored servant leadership theory by engaging a sample population in order to assess and synthesize the mechanisms, outcomes, and impacts of servant leadership. Thus, we sought to provide an evidence-informed answer to how does servant leadership work, and how can we apply it? We conducted a systematic literature review (SLR), a methodology adopted from the medical sciences to synthesize research in a systematic, transparent, and reproducible manner. A disciplined screening process resulted in a final sample population of 39 appropriate studies. The synthesis of these empirical studies revealed: (a) there is no consensus on the definition of servant leadership; (b) servant leadership theory is being investigated across a variety of contexts, cultures, and themes; (c) researchers are using multiple measures to explore servant leadership; and (d) servant leadership is a viable leadership theory that helps organizations and improves the well-being of followers. This study contributes to the development of servant leadership theory and practice. In addition, this study contributes to the methodology for conducting SLRs in the field of management, highlighting an effective method for mapping out thematically, and viewing holistically, new research topics. We conclude by offering suggestions for future research. Forbes. : 2010, The corporate scandal sheet. Retrieved November 25th from http://www.forbes.com/2002/07/25/accountingtracker.html. Greenleaf Center, Inc. (2011). Retrieved July 10, 2011 from http://www.greenleaf.org/. Hu, J., & Liden, R. C. (2011). Antecedents of team potency and team effectiveness: An examination of goal and process clarity and servant leadership. Journal of Applied Psychology 1–12. doi: 10.1037/a0022465. Letts, L., Wilkins, S., Law, M., Stewart, D., Bosch, J., & Westmorland, M. (2007). Critical review form: Qualitative studies (version 2.0). Retrieved from http://www.sph.nhs.uk/sphfiles/caspappraisaltools/Qualitative%20Appraisal%20Tool.pdf. OLA Group (Organizational Leadership Assessment Group). (2011). Retrieved September 4, 2011, from http://www.olagroup.com/. Spears Center. (2011). Retrieved September 5, 2011 from http://www.spearscenter.org/. Spears, L. C. (2005). On character and servant-leadership: Ten characteristics of effective, caring leaders. Greenleaf Center for Servant-Leadership. Retrieved July 12, 2011, from http://www.greenleaf.org/leadership/read-about-it/articles/On-Character-and-Servant-Leadership-Ten-Characteristics.htm. Van Dierendonck, D., & Nuijte, K. (2011). The Servant-Leadership Survey (SLS): Development and validation of a multidimensional measure. 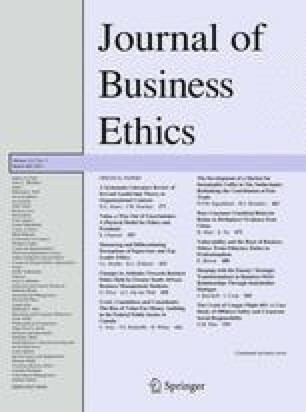 Journal of Business in Psychology. doi: 10.1007/s10869-010-9194-1.